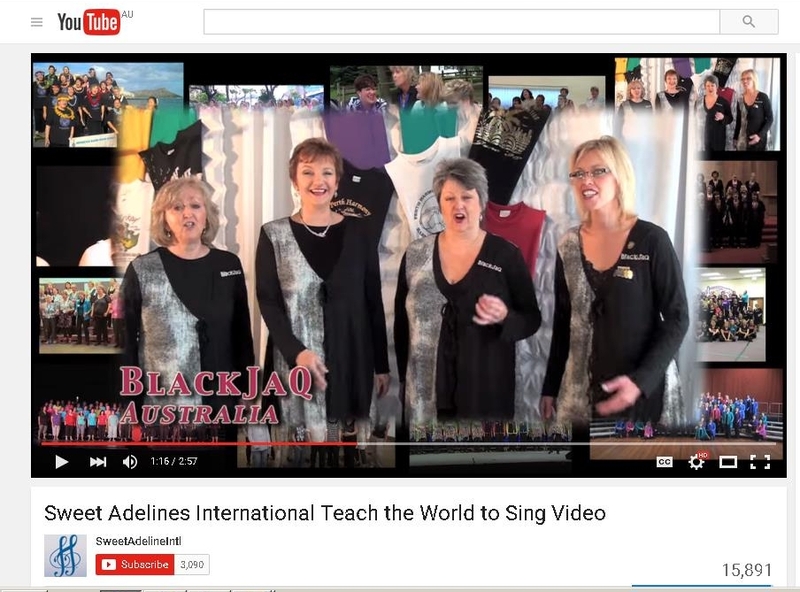 Ever since then I have driven 120 kilometres every Wednesday night through crawling peak traffic in the heat of summer, and driving rain in winter to be a Sweet Adeline with Melbourne Chorus... I walk into rehearsals drained and three hours later I walk out on a cloud with a melody lingering in my heart. It's my weekly health fix and how sweet it is!" "I love coming to chorus to blow the cobwebs out, vocally speaking. My flat mate, says I bounce through the door when I come home!" "I get time out from my ordinary life - to feel extraordinary! " "Fantastic atmosphere of friends, fun, learning and teamwork. I look forward to it all week and can't believe how much my singing has improved since I joined." "Melbourne Chorus is part of my life. I love the friendship, enjoyment of rehearsals and the uplifting feeling of singing harmony and making a beautiful sound." "I look forward to the challenge of 'locking the chord' with my buddies each Wednesday"
"I always leave rehearsal on a high!" "Great music, fabulous singing, fantastic friends, I just love our rehearsals"
"Our road trip every Wednesday night is just fantastic - we sing and chat for an hour there, sing for 2-3 hours at rehearsal and then sing all the way home; it is food for my soul!" "I look forward to Wednesdays every week, and no matter how busy I have been, how cranky I have been, how distracted I have been, and yes, some days, how happy I've been, it is still Wednesday night that makes my week"
"...[We] take back good memories of your hospitality, excellent organisation and your friendship"
"...Thankyou for making me so welcome ...everyone's enthusiasm was contagious!" Click on the picture in the side bar and view full recording. Click on the picture below to experience more barbershop style a cappella.